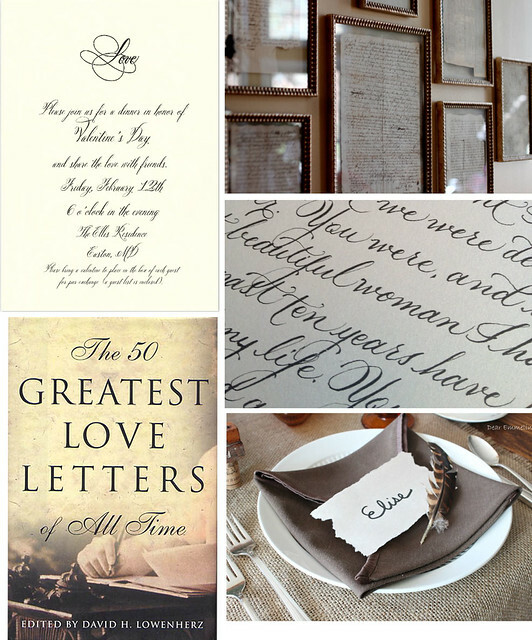 If you're planning to celebrate Valentine's Day with a group of friends, consider hosting a dinner with a love letter theme, complete with a valentine for each guest. Invite guests to write out Valentine's Day cards for each attendee (enclosing a guest list with each invitation). Then, before the dinner begins, ask each guest deliver the valentine cards to each place setting (inserting the cards into a napkin folded into the shape of an envelope). -- For the napkin tutorial, visit Dear Emmaline.